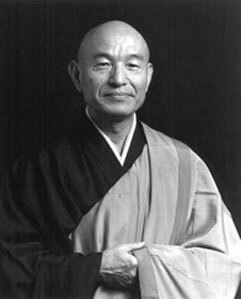 The Venerable Hakuyu Taizan Maezumi Roshi, 64, Abbot of the Zen Center of Los Angeles and a seminal influence on the growth of Zen Buddhism in the United States, died suddenly in Tokyo, Japan in the early morning hours of Monday, May 15 (Japanese time), 1995. Maezumi Roshi was ordained as a Soto Zen monk at the age of eleven. He received degrees in Oriental Literature and Philosophy from Komazawa University and studied at Sojiji, one of the two main Soto monasteries in Japan. He received Dharma transmission from Hakujun Kuroda, Roshi, in1955. He also received approval as a teacher (Inka ) from both Koryu Osaka Roshi, and Hakuun Yasutani Roshi, thus becoming a Dharma successor in three lines of Zen. In 1956, Maezumi Roshi came to Los Angeles as a priest at Zenshuji Temple, the Soto Headquarters of the United States. He devoted his life to laying a firm foundation for the growth of Zen Buddhism in the West. In1967, he established the Zen Center of Los Angeles. Its honorary founder is Baian Hakujun Daiosho, who headed the Soto Sect Supreme Court and was one of the leading figures of Japanese Soto Zen. Maezumi Roshi established six temples in the United States and Europe that are formally registered with Soto Headquarters in Japan. In addition to ZCLA, these include Zen Mountain Center in California; Zen Community of New York (Tetsugen Glassman, Abbot); Kanzeon Zen Centers of Salt Lake City, Utah and Europe (Genpo Merzel, Abbot); and Zen Mountain Monastery in New York (Daido Loori, Abbot). 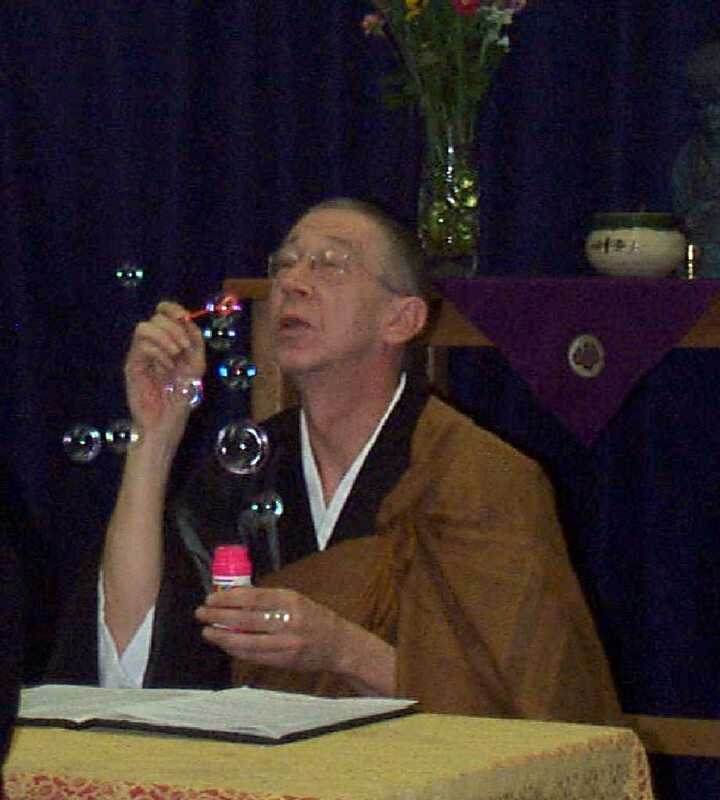 Affiliated centers also include the Great Mountain Zen Center in Colorado (Shishin Wick, teacher), Zen Community of Oregon (Chozen Bays, teacher); Three Treasures Zen Community in San Diego (Jikyo Miller, teacher); Centro Zen de Mexico, Coyoacan (Tesshin Sanderson, teacher), and Centro Zen de la Cuidad deMexico. In addition, there are over fifty groups in the Americas and Europe that are affiliated with ZCLA. Zen priests and gave the lay Buddhist precepts to over 500 people. three children, Kirsten Mitsuyo, Yuri Jundo and Shira Yoshimi, all of Idyllwild, CA. Intimate funeral services and cremation were held in Tokyo, Japan on May 19 to 20, 1995. The main funeral was held on Sunday, August 27, 1995 in Los Angeles, CA. Lou Mitsunen Kyogen Nordstrom Roshi received a Ph.D. in Philosophy from Columbia University, where he taught until 1970. Roshi began Zen practice in the late 1960's. 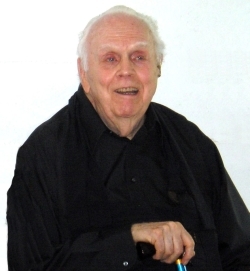 In 1974 he gave up a tenured teaching position at Marymount College to become a Rinzai Zen monk. He also edited Namu Dai Bosa: A Transmission of Zen Buddhism to America, an anthology of the works of Nyogen Senzaki, Soen Nakagawa Roshi, and Eido Shimano Roshi. From 1974 to1976 he served as Eido Roshi's head monk at Dai Bosatsu Zendo. Later he returned to college teaching at Syracuse University (Religion Department, Chaplain-for-Non-Western Religions, Hendricks Chapel). From 1980 to 1988 Roshi was Director of Training, Liturgy, and Study of the Zen Community of New York and was ordained a Soto Zen priest. Involvement with Bernard Tetsugen Glassman's center began with an encounter with Taizan Maezumi Roshi during which Maezumi Roshi indicated his desire for Lou to be his Dharma successor. He received Dharma Transmission from Tetsugen Roshi in 1998. Since 1989 has been doing adjunct and visiting college teaching (Yale, Wesleyan, NYU, Hunter, Baruch,Iona). Since 1987 he has been leading Zen retreats in New York State, North Carolina, and here in Florida. He has published a study in comparative communication (Communication East and West), and numerous articles on Zen and comparative-philosophical themes. He lives in Lakeland, Florida. Zen Kai was the only man to stop Mitsunen Kyogen Roshi in his tracks. At the age of 89, while receiving the precepts during his Jukai cerenomy, Zen Kai was asked by Mitsunen Kyogen Roshi, "Abstaining from sexual misconduct, do you vow to uphold this precept?" Zen Kai sat motioneless, as if not hearing Roshi's question, staring straight ahead. Roshi, thinking Zen Kai was having a "senior moment," repeated the question, raising his voice slightly. "Phil, do you vow to abstain from sexual misconduct?" Without missing a beat, Zen Kai looked up at Roshi and said "I'm thinking about it." The Sangha roared. It was a beautiful, memorable moment. Phil was "the real deal"; Phil was Buddha. Making his acquaintance was a gift to those of us lucky enough to have met and spent time with him. Phil Zen Kai Thompson Roshi passed away on May 24th, 2011. He is greatly loved and sorely missed. Genjo began zen practice in 1995 after reading Suzuki Roshi’s classic book, Zen Mind, Beginner’s Mind. He attended several sesshins at different centers around the country to deepen his practice as there were no centers near his home in Melbourne Florida. He received Jukai at the Upaya center in Santa Fe New Mexico. At one retreat there he met Mitch Doshin Cantor of the Southern Palm Zen Group of Boca Raton Florida. At the next sesshin in Boca Raton he met Lou Mitsunen Nordstrom Sensei and became his student. He received Tokudo, novice priest ordination in 1999. Shortly thereafter, Genjo established a group in Melbourne Florida which evolved into the Brevard Zen Center, Kuge-In temple of Cocoa, Florida. In 1996 he became Mitsunen’s Dharma Holder and on March 29, 2014 received Dharma Transmission from Mitsunen at a sesshin at Kuge-In. Genjo is an avionics Senior Systems Engineer and lives with his wife, Karen in Palm Bay Florida.